Packing has never been a strength of mine. I am getting infinitesimally better. 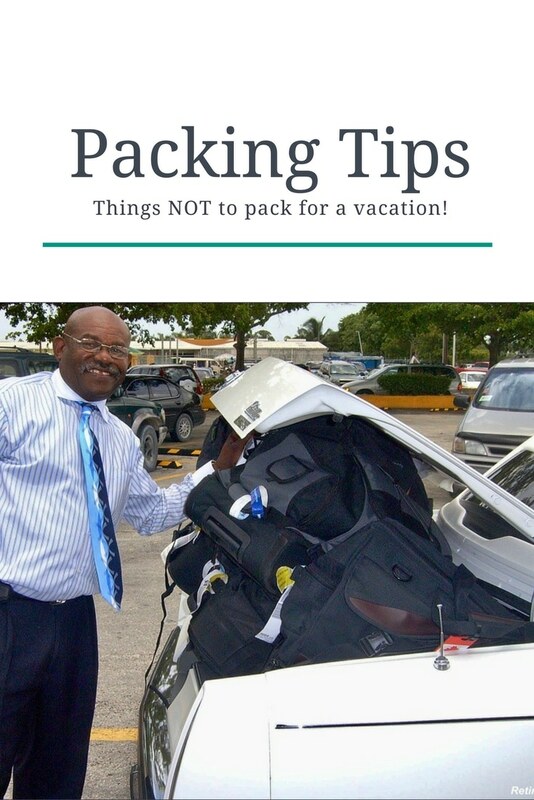 But I do try not to pack consumable items that I can pick up at my destination. If we are taking a short trip like our extra long weekend to Washington DC, we actually do manage to travel with just carry-on. After we are checked in, we head out to find things we never pack to go on vacation. When we get settled in, we check our where the closest grocery store or produce market is. 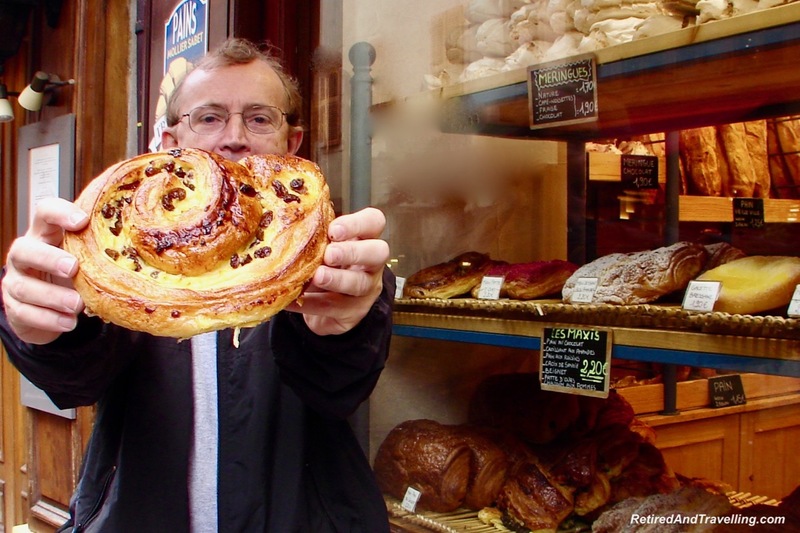 A bakery or patisserie is great to have close by for fresh bakery products. Unless we are on a low carb diet! The final thing we look for is a drug store. When we travel in the U.S.A., we want to find the closest CVS or Walgreens. They are sure to have a wide supply of key items we never pack to go on vacation. Travelling internationally, it is a little harder. Pharmacies outside of North America will have medical supplies but will not offer the full range of things we might find in Canada or the U.S. We may have to find a local department store. So what do we never pack to go on vacation? My carry-on bag always include enough snacks to cover an airport delay and the actual flight. But I never try to bring all my snack food for a trip. We like to have snacks when touring all day. And sometimes at the end of a long, tiring day we may only have a snack for dinner. We always try for healthy snacks. On our low carb diet, we looked for low carb snacks. 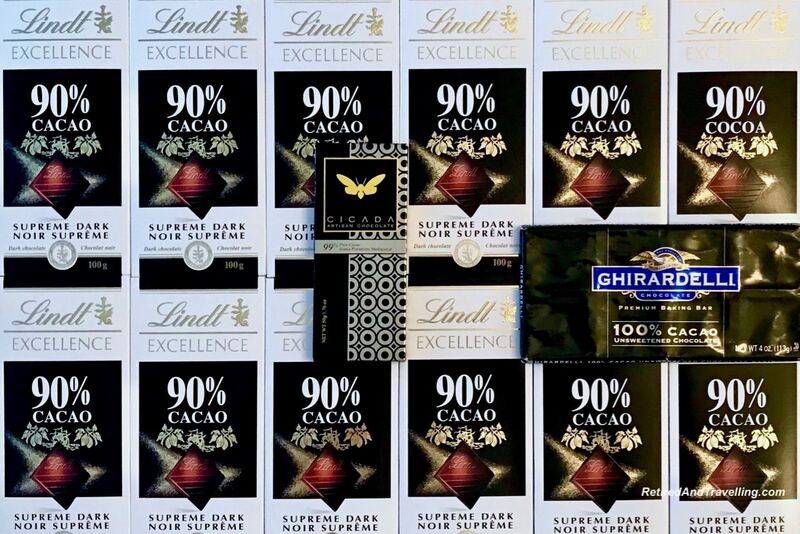 So we hunted down good quality protein bars, dark chocolate, nuts and sometimes fruit. On our recent stay at the Intercontinental Miami, once they knew we were on a low carb diet, we got nightly low carb snacks from the outstanding staff! 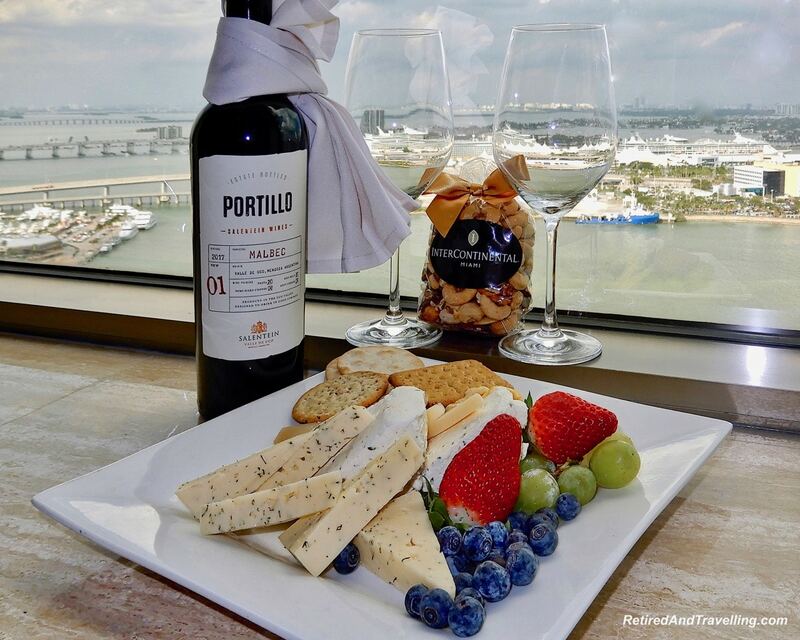 A full supply of snacks is one of the things we never pack to go on vacation. The downside of travelling for longer periods of time is the need to eat out at restaurants all the time. I get tired of having bigger meals, eating from fixed menus or just making decisions. We often plan to have picnic meals when we are travelling. After we check in, we go for a wander in the closest grocery store. 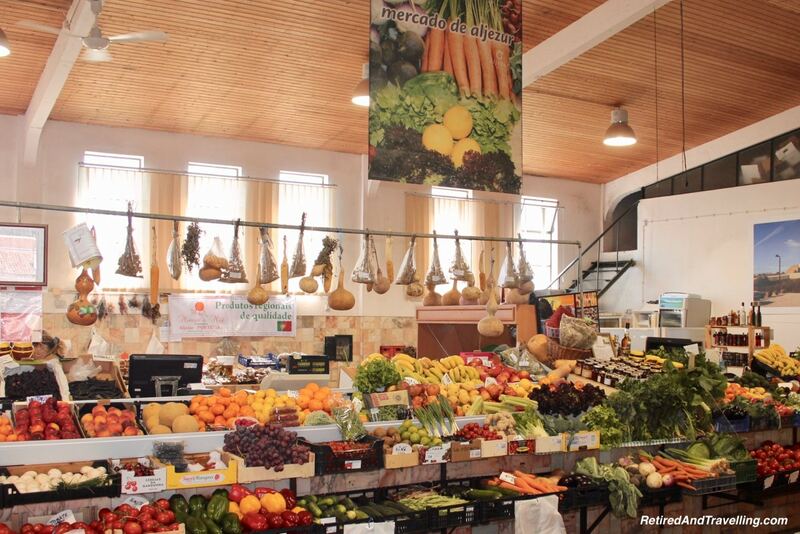 This is a great place to see such a variety of local foods. We will pick up some basic supplies for small meals – cheese, cold cuts, bread and dark chocolate. This covers a packed lunch. If we want a bigger picnic, we can shop for hot foods. If the hotel has a microwave, our options for picnics expand. Eating some meals as a picnic also saves some money! Food, especially fruits is one of the things that most customs agents are searching for when you enter a new country. So it is definitely one of the things we never pack to go on vacation. I can just see our daughter scribbling us onto her “naughty list” just for including water on this list. But we drink a lot of water when we are travel. We have multiple different travel water bottles but sometimes they are too big or heavy to take. And the filtration system in our bottles doesn’t cover us for all contamination sources in water when we travel. We try to buy large gallon size bottles and re-fill small bottles over and over again. If the tap water is drinkable, we use that. 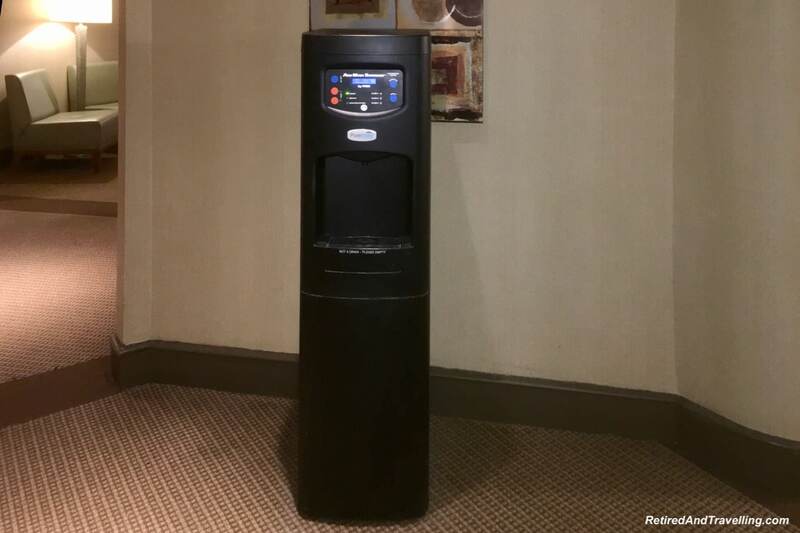 At the Westin Georgetown on our visit to Washington DC, our Starwood Preferred Guest floor had a water bottle filling station. I wish more places had this! But we do sometimes have to buy bottled water! With the security restrictions on fluids, we empty our water bottles before we go in the airport. We then look for water fountains to re-fill the bottles after the security checkpoint. But far too many airports do not have any way to re-fill water bottles. Water is never be one of the things we pack to go on vacation. If I know we will be walking a lot (most of the places we travel), I will try to book a room with a tub. 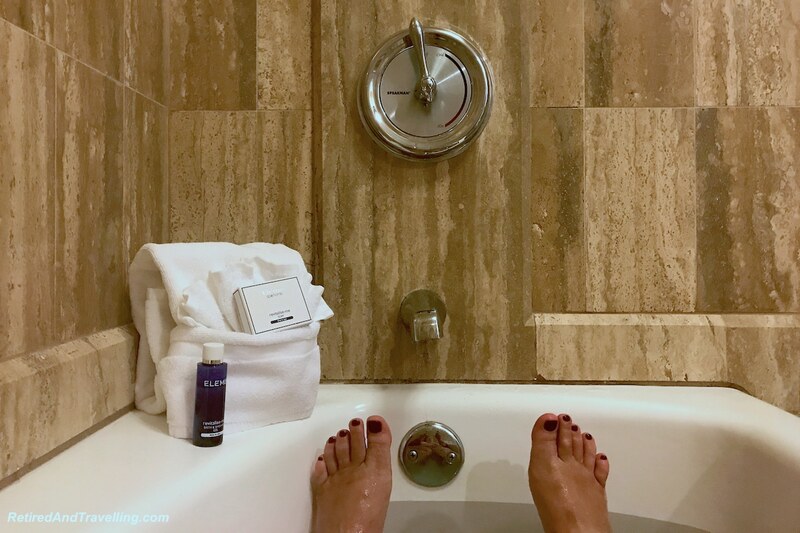 There is nothing better than sinking into a hot tub when we return from a long walking day. This experience is even better if I can put epsom salts in the water. We were once warned about taking any quantity of bath salts in our carry-on luggage. I am not sure if having it in your checked bags would result in an extra search of the bag. We have had far too many locks cut off of luggage to risk it. We will find the local pharmacy and try to find epsom salts when we land. 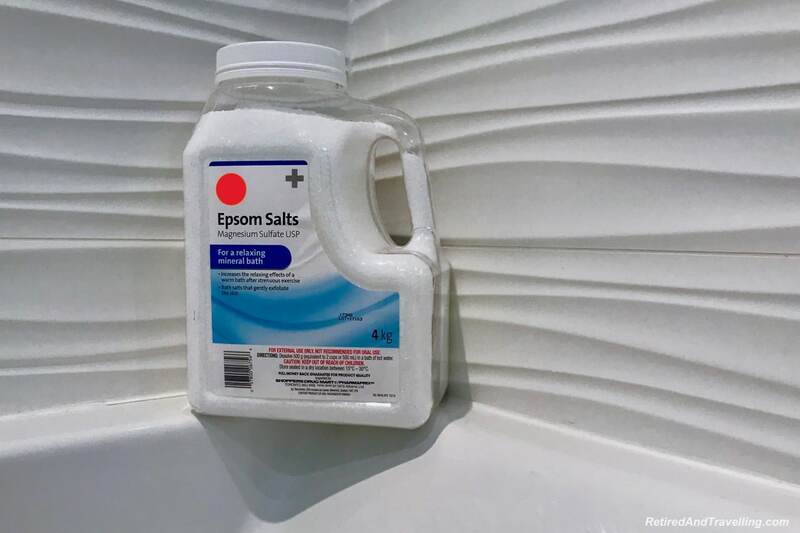 Epsom salts are definitely one of the things we never pack to go on vacation. Even if they were allowed in our luggage, they are far too heavy to pack. Why would I sacrifice a pair of shoes or two? I am sure this title might have caused you to raise your eyebrows. But I am talking about wine, champagne and maybe beer. 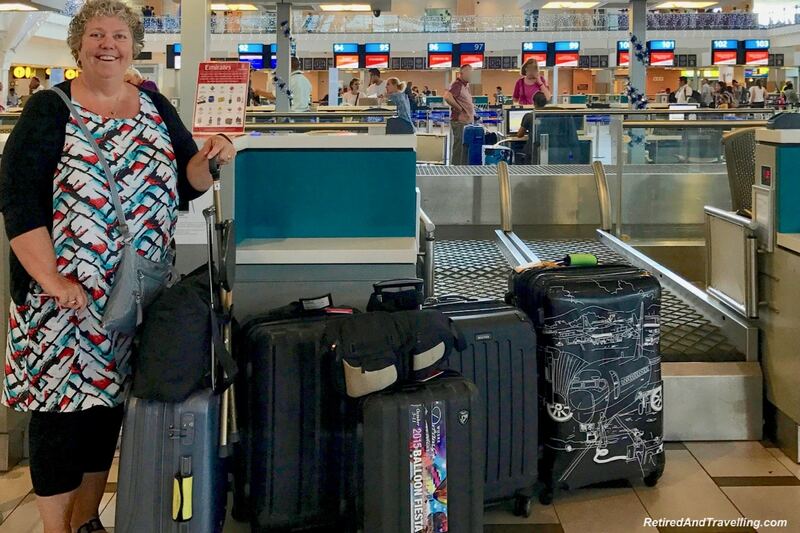 While we theoretically could put a bottle into our checked bags, we never do this travelling out for a vacation. We have at times brought something home in our checked bags. We love to try the local wines and beers when we travel. Sometimes we will sample them when we dine out. Sometimes we like to have a bottle in our room. This goes great with our picnics or just to help us relax. 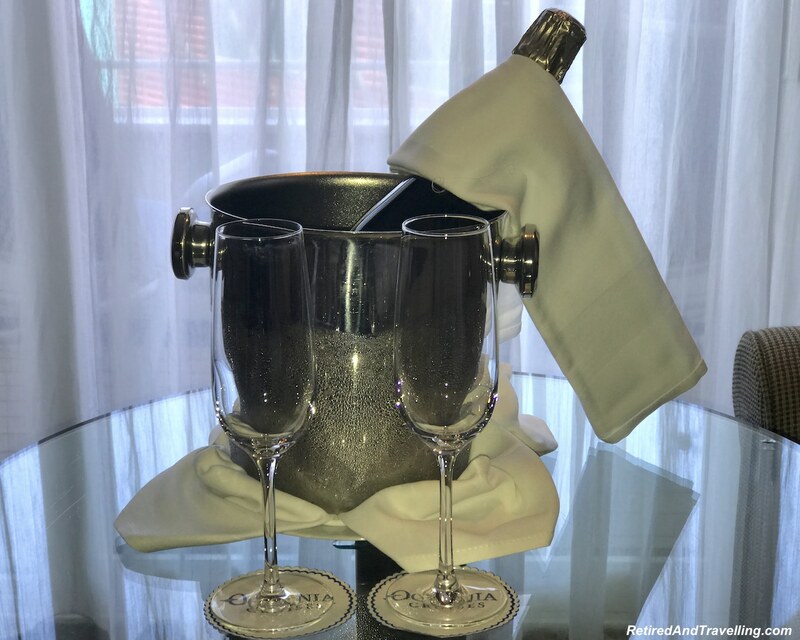 And we are always delighted when our hotel or cruise ship welcome amenity comes with a bottle! Generally alcohol is one of the things we never pack to go on vacation. There is nothing worse than not being able to sleep when we travel. I am a bit of a picky sleeper. David says I am the princess with the pea. Noise bothers me a lot. So I finally put a white noise app on my iPad. This usually covers most noises so I don’t need a dedicated noise machine. And earplugs are always on the side table. Hard beds are generally the problem. Something to fix this is not one of the things we can really pack. But I have been known to ask for a bed topper. I was pleasantly surprised on our recent Windstar Caribbean cruise. And the bed topper fixed the problem totally. Pillows are a constant struggle. 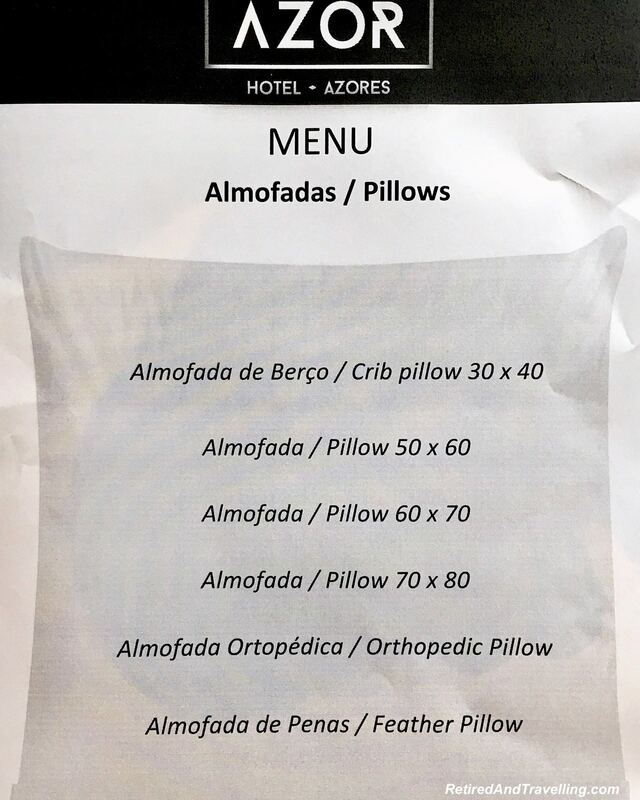 I can usually find a pillow at the hotel that works, even if there is not a comprehensive pillow menu. But David sleeps with a good orthopaedic pillow. And only really good hotels or cruise lines include orthopaedic pillows in their offerings. Often we really would like to travel with our own pillows. But unless we are taking the car, pillows are one of the things we never packet to go on vacation. Robes and slippers are things we never pack to go on vacation. 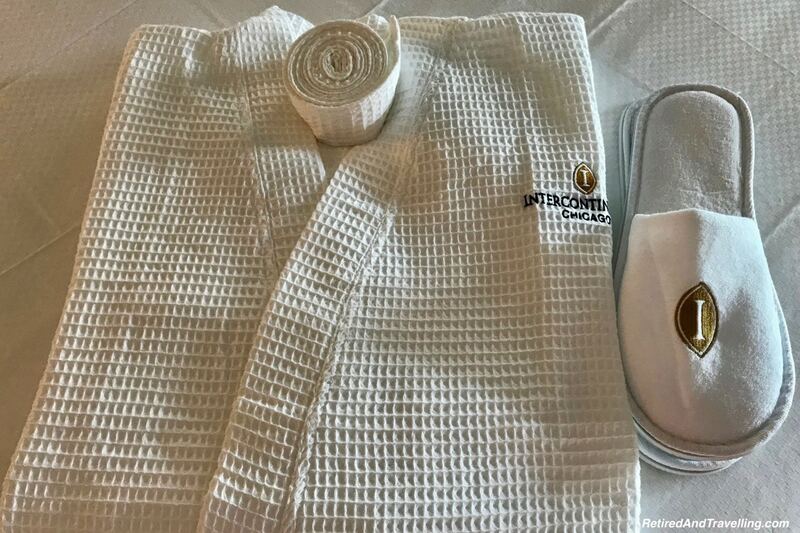 We are always really happy when a hotel provides robes and slippers. It certainly made our time at the Intercontinental Chicago a bit more relaxing after busy touring days. Bonus points for robes that are roomy and plush! Robes are too big and bulky to pack. I often bring one set of loose comfortable clothing for lounging in the hotel room. 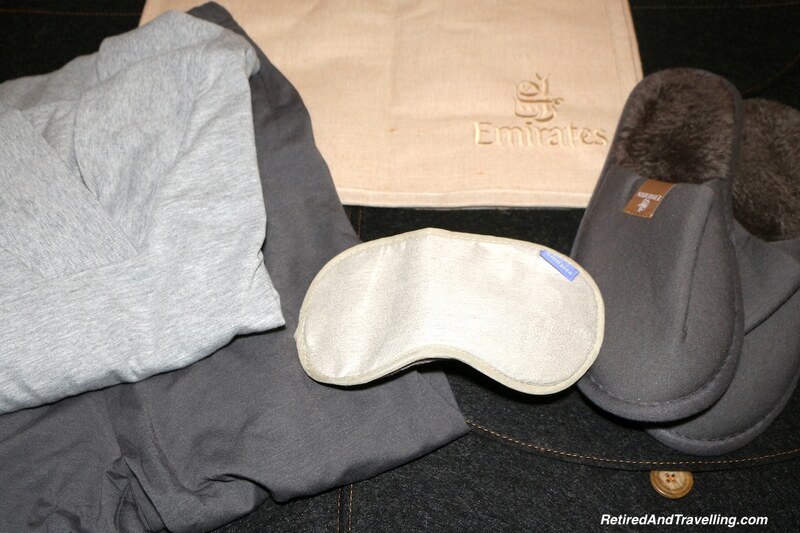 It was a real treat when we flew Emirates First Class to get a pair of pyjamas and slippers for our long flights. We do not pack slippers. But we also never want to walk around a hotel room in socks or bare feet. More than once I have forgotten and the resulting colour of my white socks was an ugly reminder. If we do not have slippers, we usually resort to leaving our shoes on. If we have pool sandals with us, they become the de facto slippers! We want robes and slippers when we travel. But these are something we never pack to go on vacation. This is just a small list of some of the things we never pack to go on vacation. We are already challenged with packing too much. We don’t really have weight room to add things that are much better picked up or supplied once we arrive. If we are moving around a lot, we hesitate to pick up too much stuff that we need to move from place to place. We become very European shoppers, heading out every day to get the day’s supplies. And before we pack to return home, much of the new things we have purchased get left behind if not consumed! 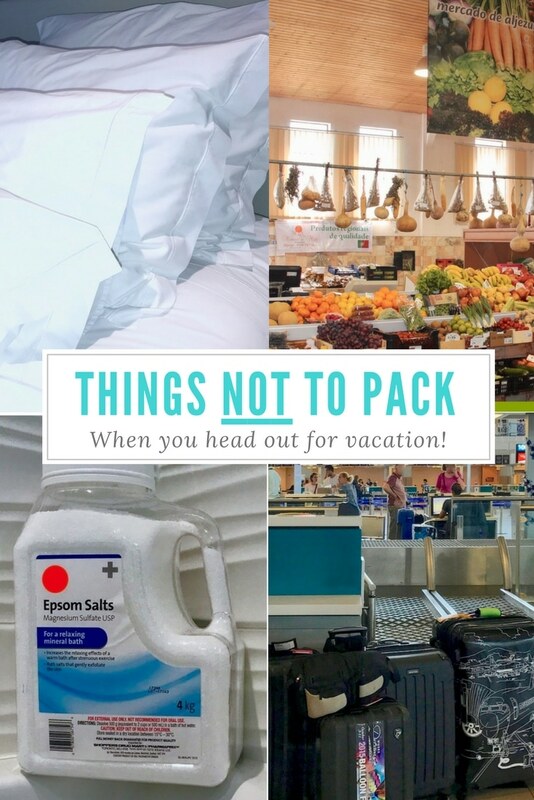 Is there something missing from our list of things we never pack to go on vacation? What do you pack that you really wish you didn’t need to? Or that you can’t live without? I always pack cheap flip flops, the kind you get at a Florida drugstore. They are very light in weight, hardly take up any room and fill the bill just fine including trips down the hall to the ice machine or to the pool. Smart! I don’t think we ever pack these things, too. Have steadily eliminated lots of things from those we pack. Besides clothing and toiletries, the only things I always pack when travelling are camera equipment and smartphone. 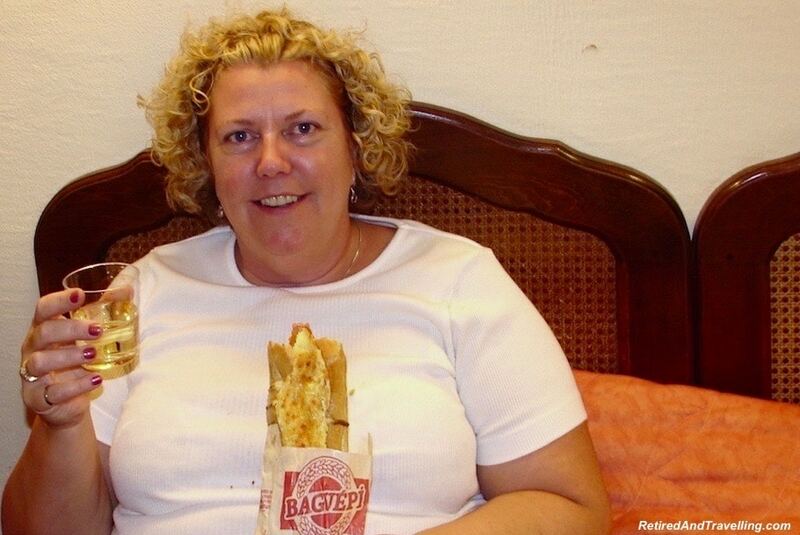 For me, one of the attractions of travel is the local food so I’d never pack snacks! Pretty cute post. I never pack most of these things either but have been inclined to pack a bottle of wine to bring home and low carb snacks go with me always. Nice when a hotel goes out of its way and leaves you wine or fixes low carb meals. I really need to be better about packing like you are. I tend to bring a carry-on for even a night’s trip. Sad, I know. Luckily I’ve got your tips now. I can’t even imagine trying to bring most of this stuff — I usually travel with just a 35L backpack — but I ALWAYS bring snacks from home. I’m a vegetarian and getting enough protein that isn’t loaded with tons of sugar is a challenge in many countries around the world, so I bring a couple bags of almonds or other nuts and maybe some dried fruit. Packs light and keeps me feeling good! One thing I always wish I could bring with me is my pillow. 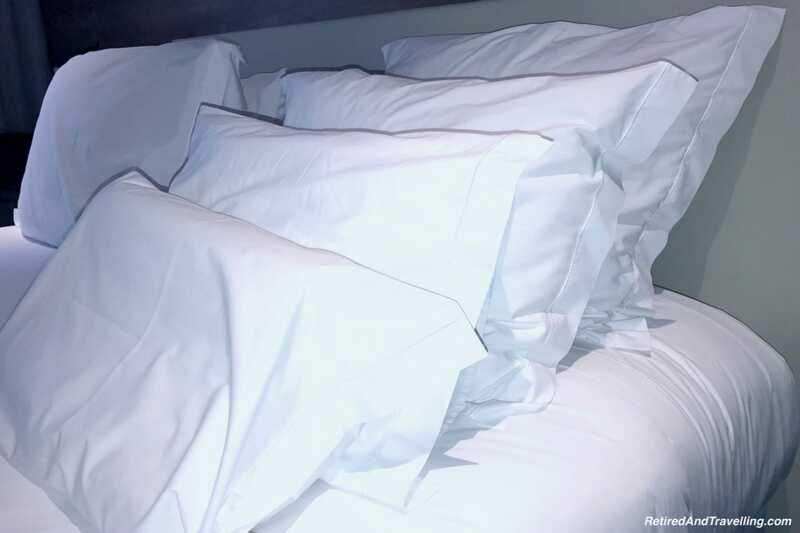 Hotel pillows, even if they have a variety of choices, just don’t cut it for me. 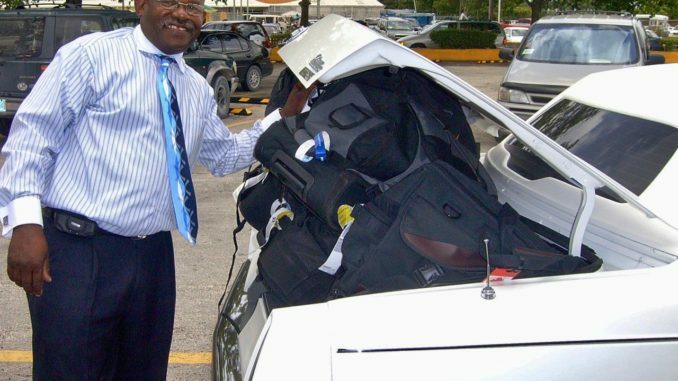 The only time I do bring it along is when I’m going on a road trip and I have room in the car! I also pack food (making sure to check all the rules of course) when I’m going to a place where I think the food might make me sick. This saved me in India when everything I ate just made me more ill! Oh I don’t like to pack a lot more things in my luggage. If I am travelling for more than 10 days then unfortunately I might need to check my bags in else I try to carry only hand luggage. Of course, if I am going to a really cold place, that’s a different story. But never will you find any snacks, slippers for the room, water or alcohol in my baggage! I can’t imagine people bringing all these things with them when they travel. Everything looks so bulky! I’m not the most efficient packer but I can still fit a week of clothing plus shoes in a carry on whenever I travel. Flying with salt isn’t a great idea because the salt comes up as explosives on the standard swipe test. They have to run a second test to confirm that it is harmless salt rather than an explosive.